Details of the upcoming December 7th budget have been announced today, and include among their number a variety of hits to the education sector. Among the resulting cuts and charges the Student Services Charge (commonly referred to as the Registration Fee) will be increased by €500 to €2000 next year. 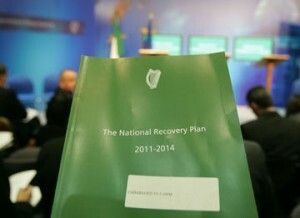 The Higher Education Grant budget will see savings of €51 million, but the impact of this per student was not revealed. The registration fee increase is €1,000 less than was initially feared, with the Green Party stating their opposition to this level of increase after the November 3rd student protest in Dublin. The Union of Students in Ireland feel the Student Support Bill, finally prepared for implementation last week, will save the education sector €5 million Euro next year which it hopes will offset some of the grant cuts. Full coverage of this story and much more in the next issue of the UCC Express.